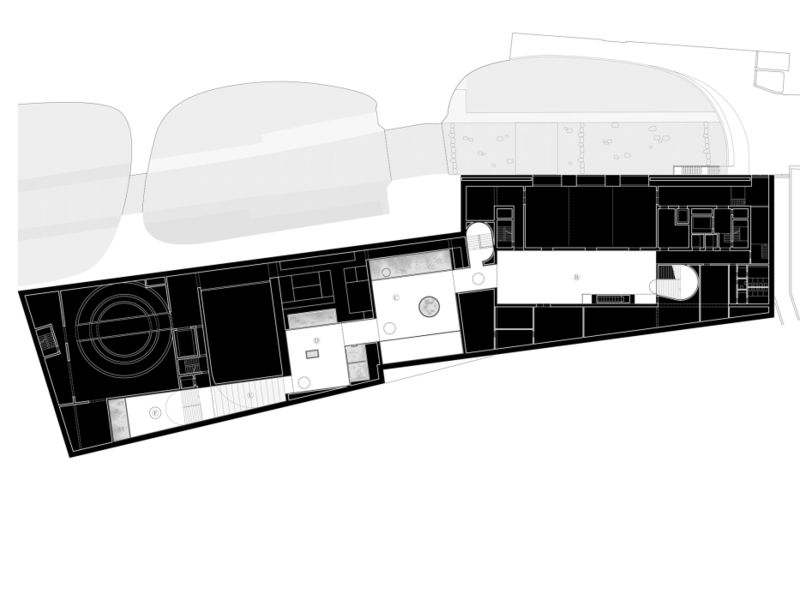 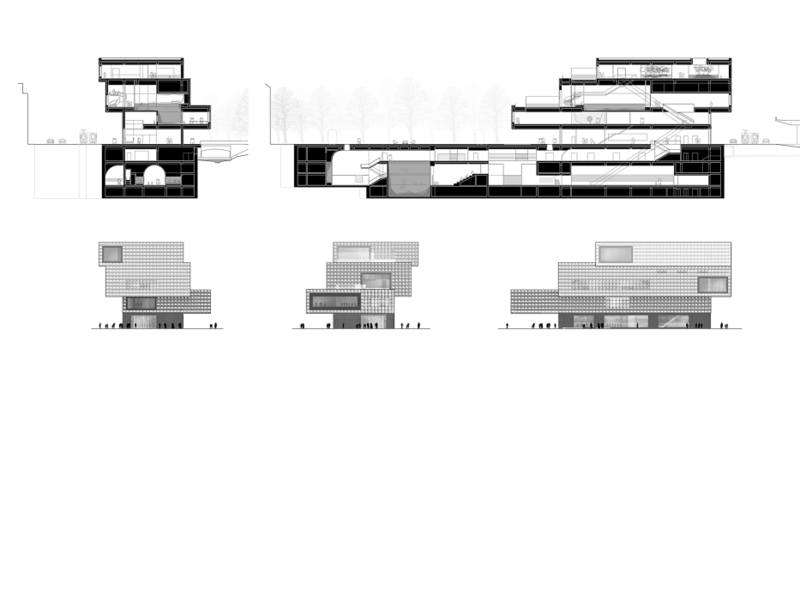 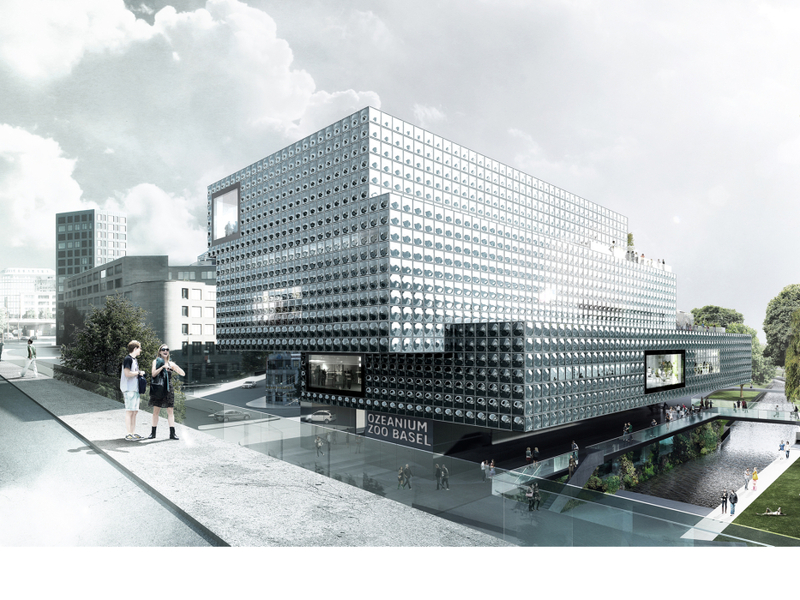 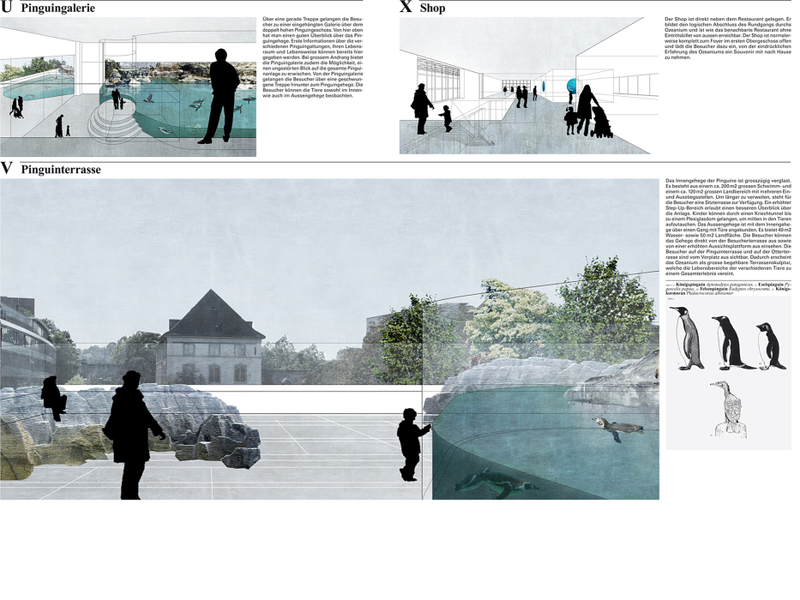 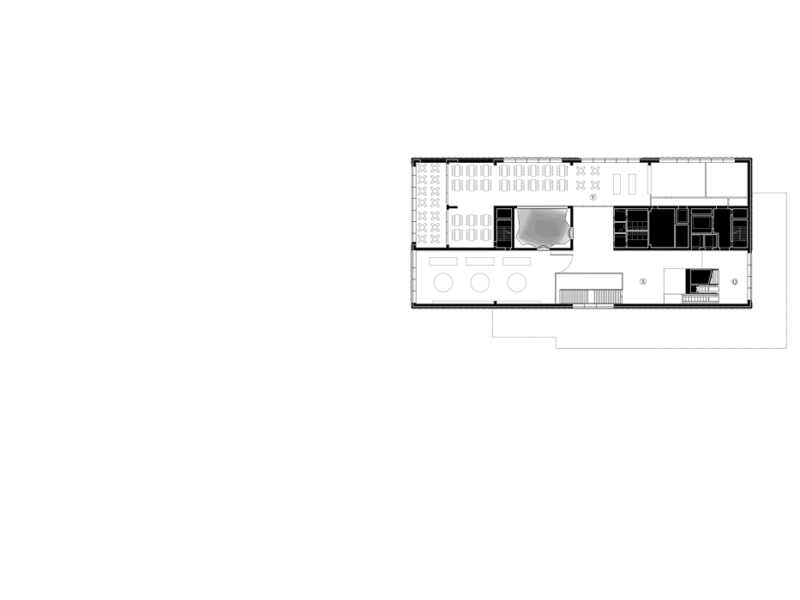 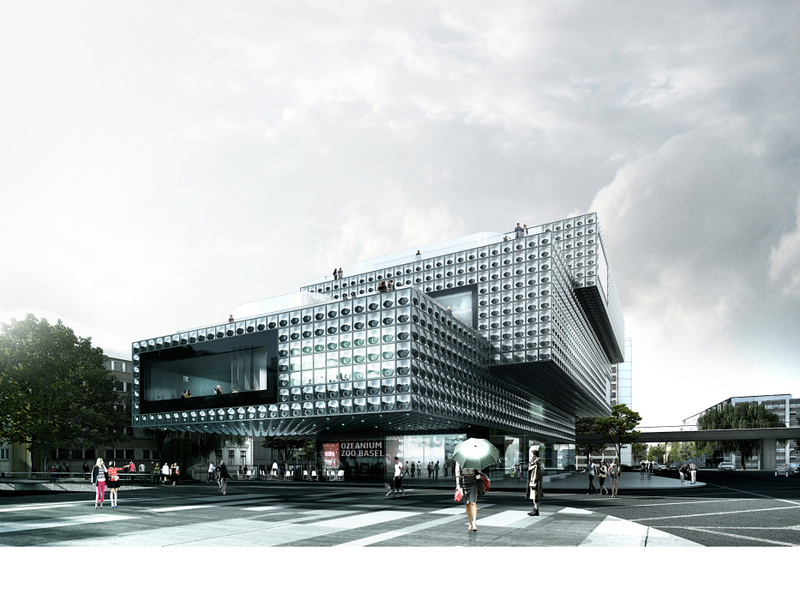 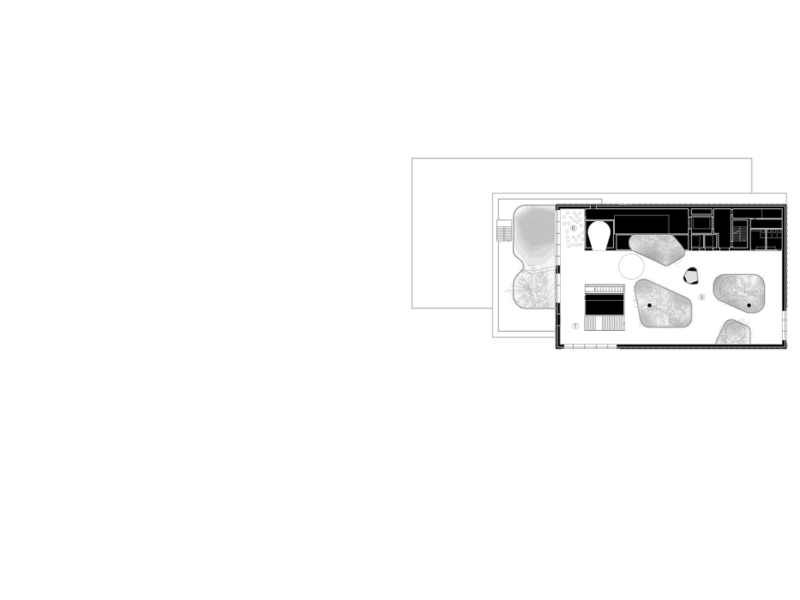 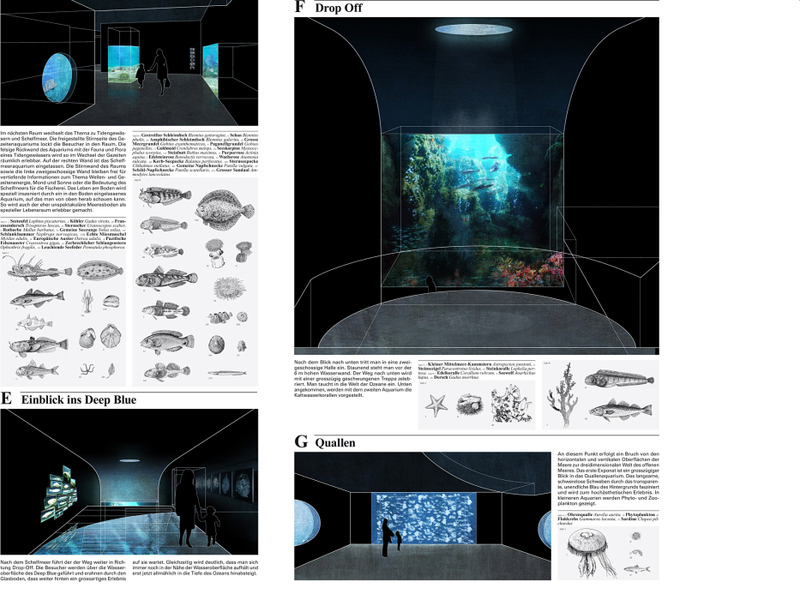 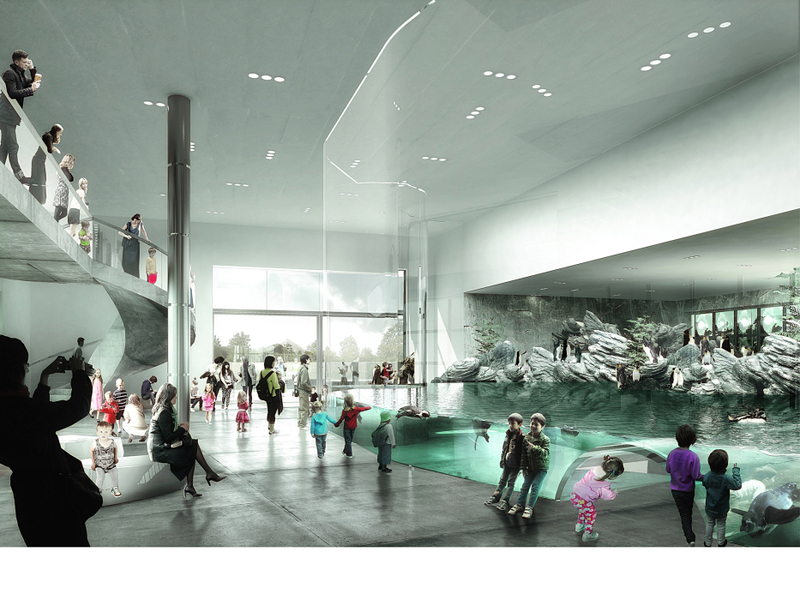 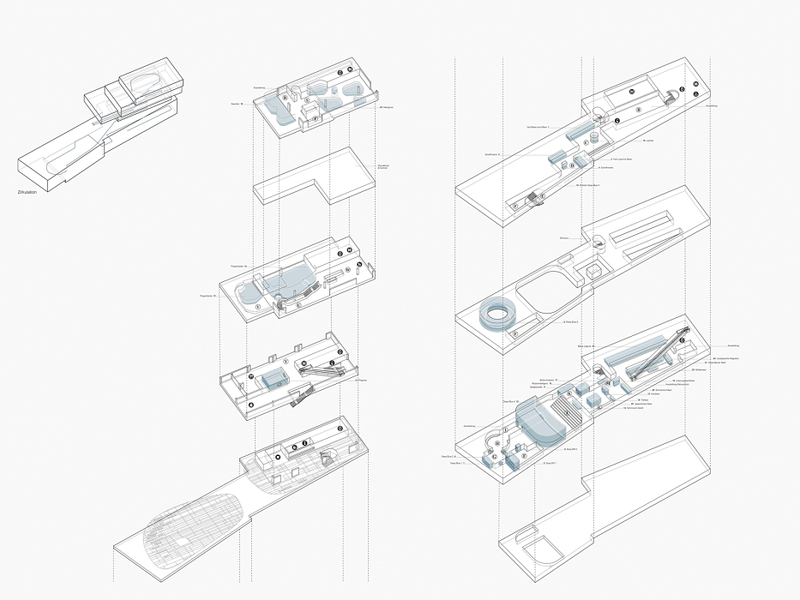 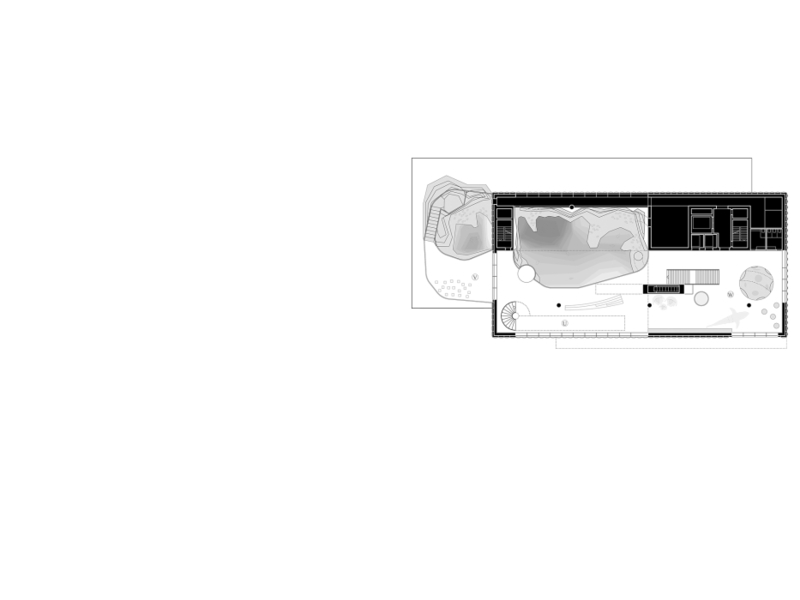 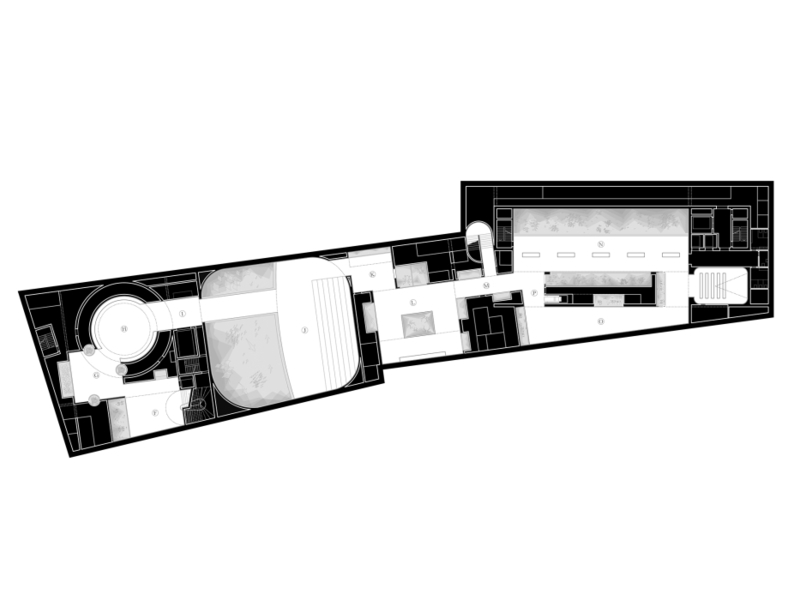 The complex requirements of the brief for the aquarium were translated into a number of fundamental architectural themes. 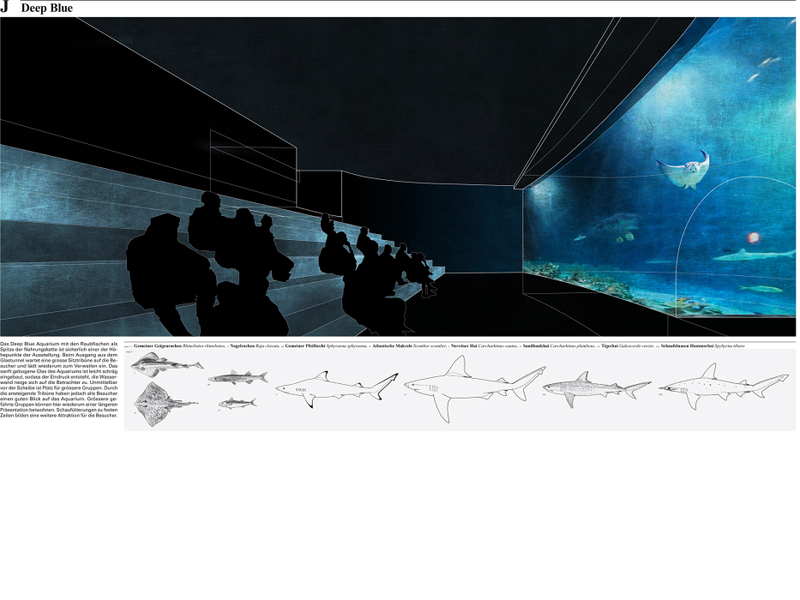 Accordingly everything that, for the most part, takes place under water is to be found on the under-ground levels. 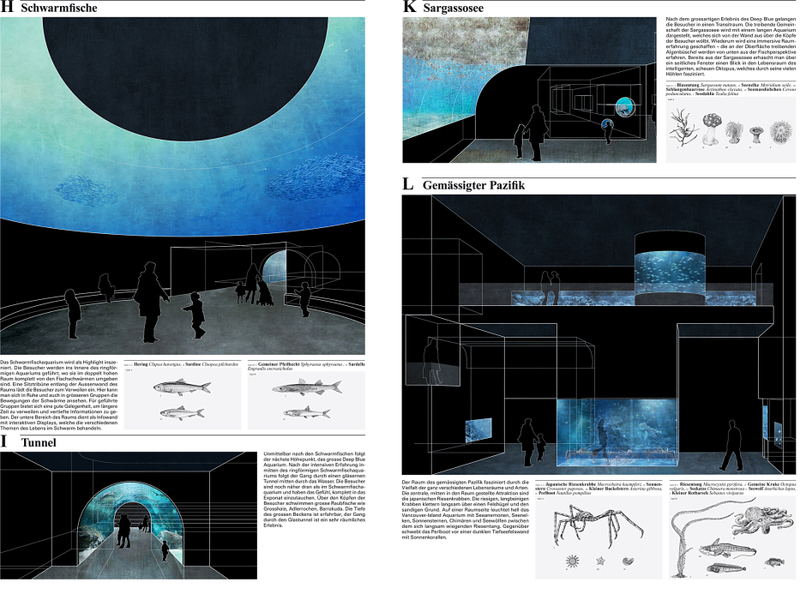 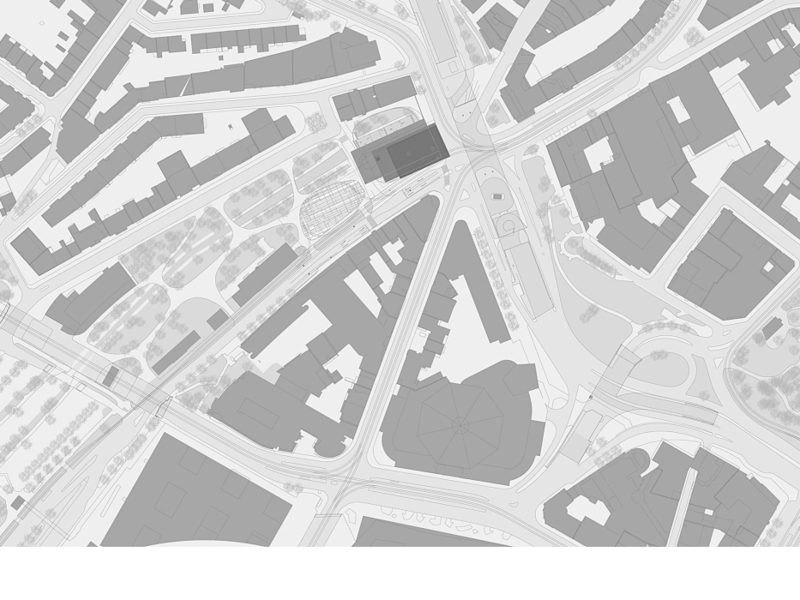 This creates a contrast to the exhibition areas above ground, where, in bright spaces and outdoor terraces, species of animals that live at the interface between water and land are kept.